Here's some of the Ranger. This thing is unstoppable. 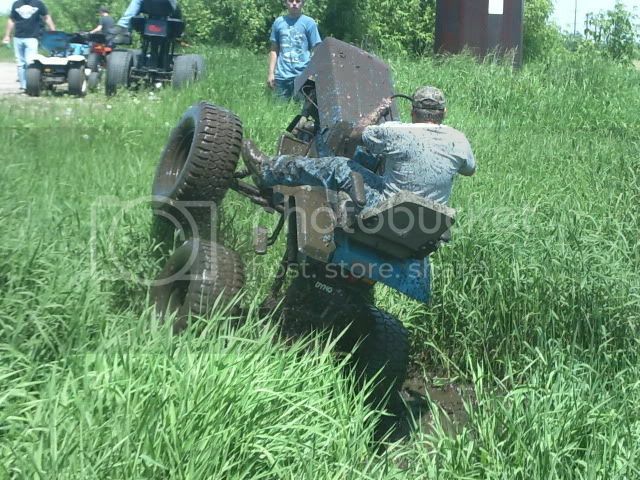 Here's one from when I sunk it in the river. Ice was about an inch and a half thick and I thought I could make it. Got halfway across and all four broke through at the same time. Had fun gettin out of that one. Luckily I was just trying to get through the shallow channel, which was only a few inches deep. And this is where I was trying to get to. lol. Stopped to help that semi. Got into some nasty muck and slid off the road. 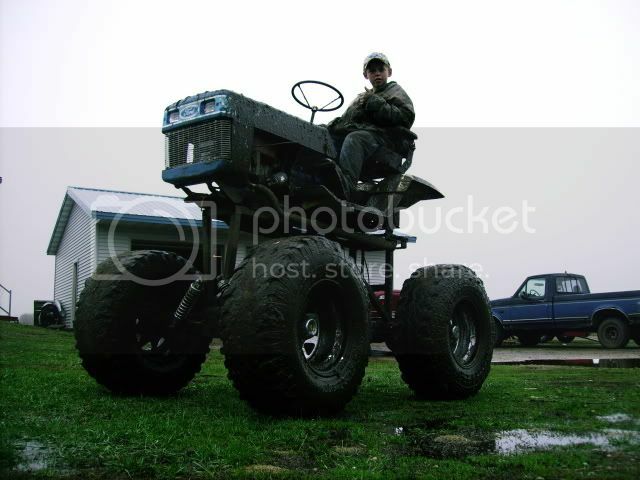 Gave the guy a ride back to his ranch to get a tractor so we could pull it out. lol. I was muddin circles around that Cummins. Literally. lol. And here's the aftermath of that trip. Had to stop and spray the mud off cuz it was packed in so bad that it was vibrating above 40mph. lol. 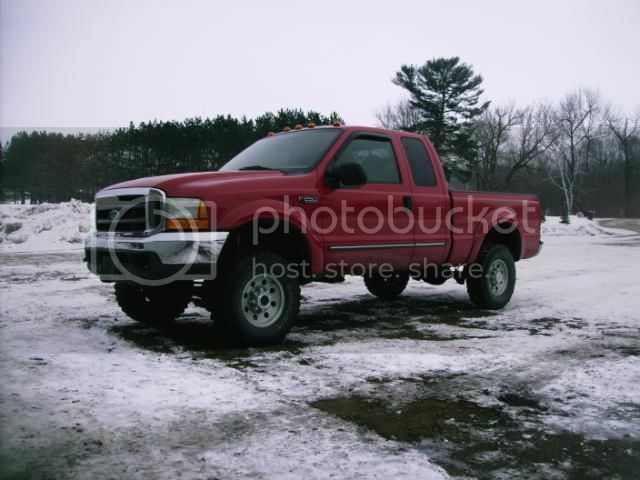 The F350, aka Big Red as my friends have aptly nicknamed it. Stuck! Here it is the day after I got it, parked next to my Dad's 97 F250. nice pics. 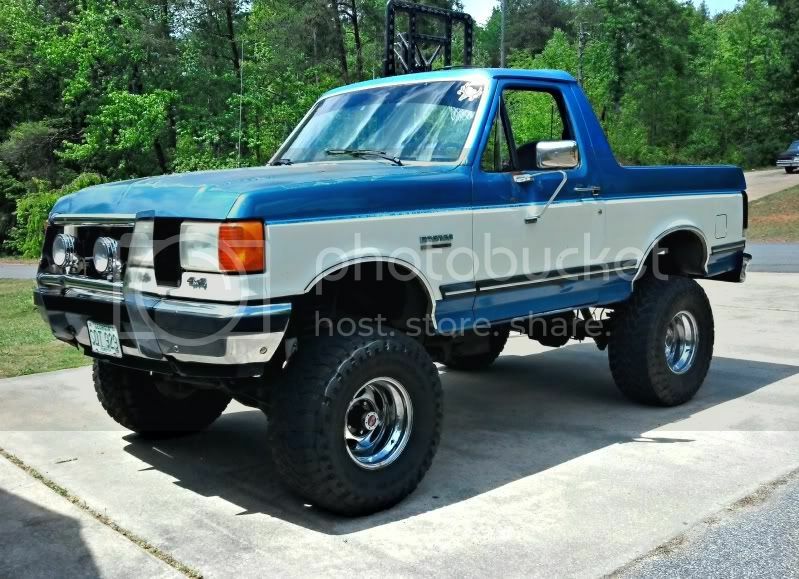 I use to have a Ranger just like that, wish I never got rid of it. I'm contemplating selling it. Engine #3 is going into it right now. First one blew when a semi threw a rock through my radiator. Overheated and toasted 2 cylinders. So I had a new one put in and apparently it's defective. Hopefully #3 is better for me. here one of mine, tho I doubt she'll see mud unless im out in the field on a service call or something. Spidey2011: cool pic's, I really like " Big Red ". 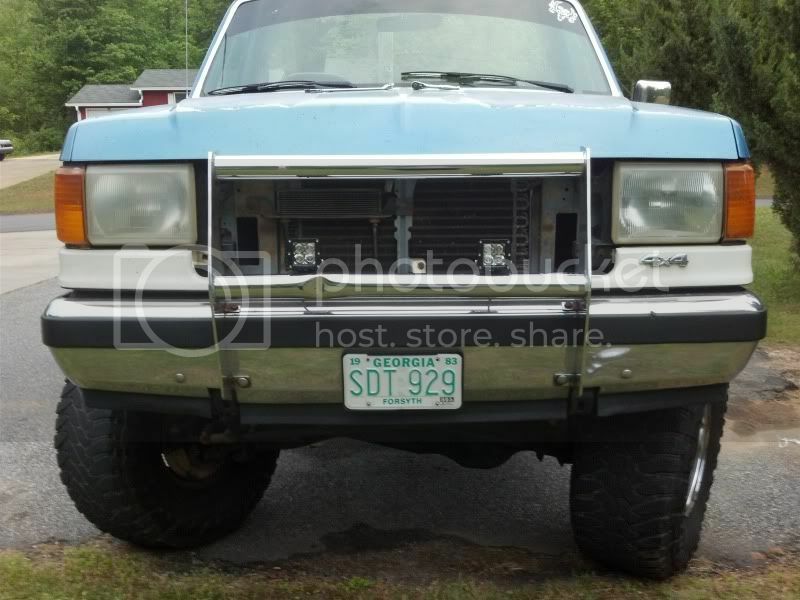 Wizard351: Nice truck, boy your yard must be a bear to cut if that's your lawnmower! I sure do miss this thing.... Would be really nice on a day like today. Everyone is my teacher. Some I seek. Some I subconsciously attract. Often I learn simply by observing others. Some may be completely unaware that I'm learning from them, yet I bow deeply in gratitude. Just buy it back!! Or get another!!! I'm searching for another, but I'd like a virgin un-lifted one so that I can see that everything is done right. A tough task, considering the 'all original' ones around here are either covered in dents or the asking price is my weight in gold. That's a good lookin Bronco. I've always liked those, and if I ever bought an SUV, that's what it would be.